When the Ringling Bros. and Barnum & Bailey Circus took its elephants off the road in May 2016, animal advocates cheered. Other Florida-based circuses saw the move as a marketing opportunity. The Garden Bros. 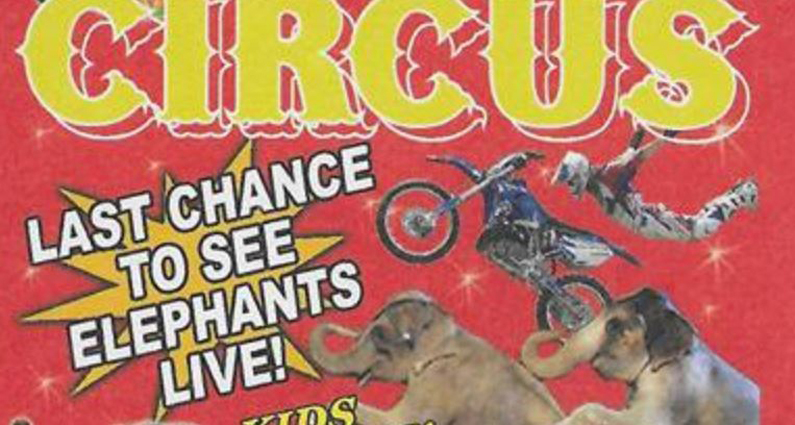 Circus advertised its 2016 tour as, “Last chance to see elephants live!” Apparently, the gimmick worked because they are using the tagline again this year. We don’t believe any of these circuses will stop elephant acts, unless they have to. The end of elephants in the circus will come about due to the passage of local ordinances and state laws restricting the use of wild animals in the circus, and because the public– increasingly aware of the suffering of animals in traveling circuses– refuses to purchase tickets to circuses featuring animal acts.